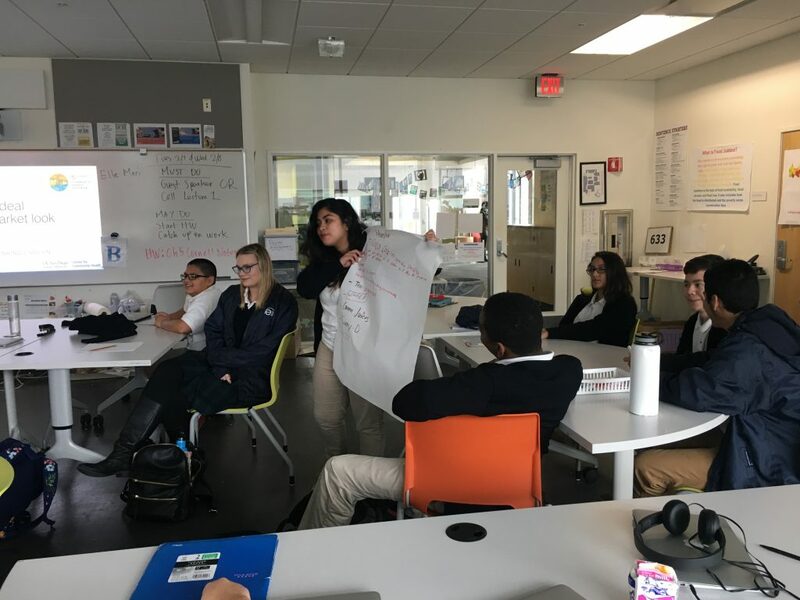 We just completed a special project with E3 Civic High students who are currently learning about food justice in their Medical Biology and Sustainable Agriculture courses with their dynamic teacher, Mr. Jeffrey Newman. 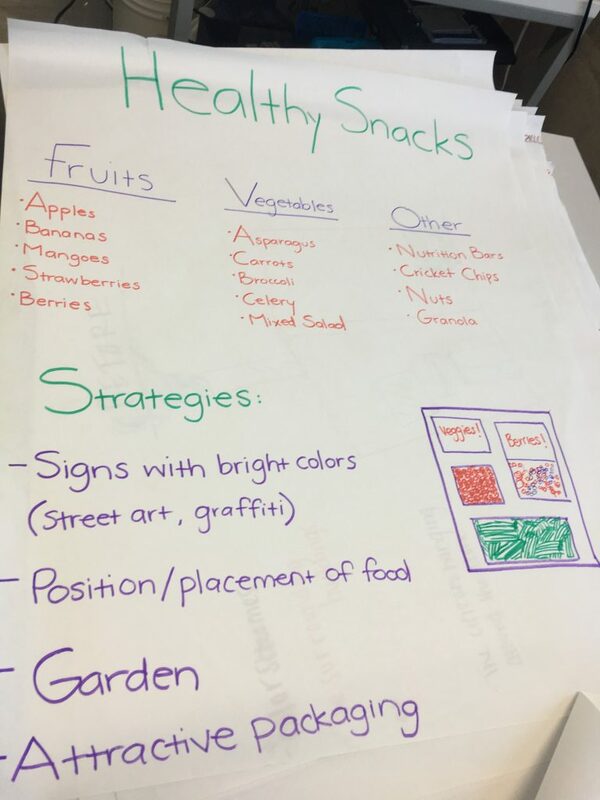 Elle Mari, our Director of Urban Food Environments, led students through a workshop on thinking through defining food inequity problems and developing solutions to improve our urban food landscape in San Diego. 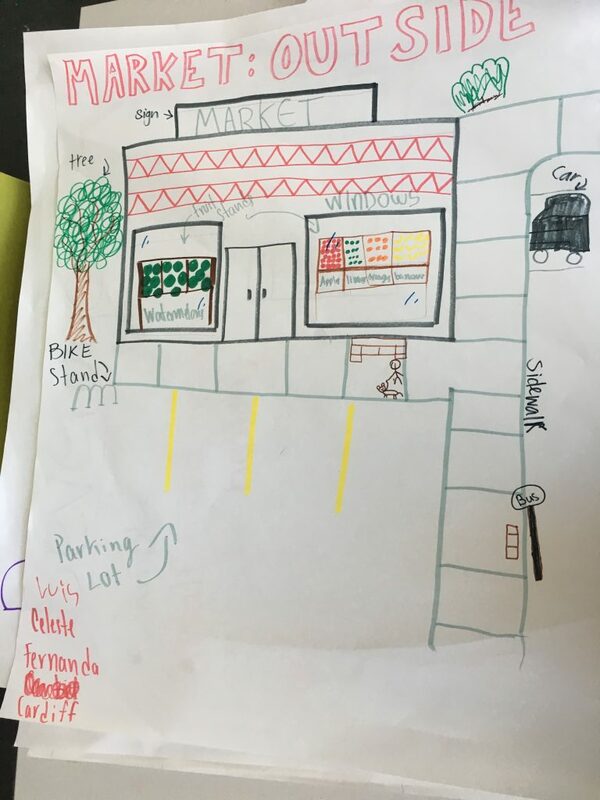 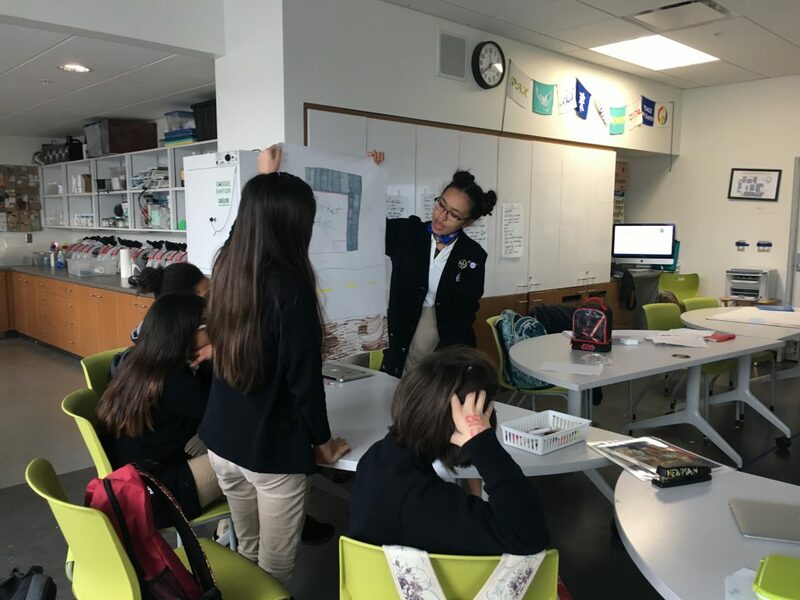 Students then designed their own ideal neighborhood market, focusing on: exterior storefront elements, product selection, placement and promotion of healthy snacks and beverages, and active and safe transportation in/around markets. 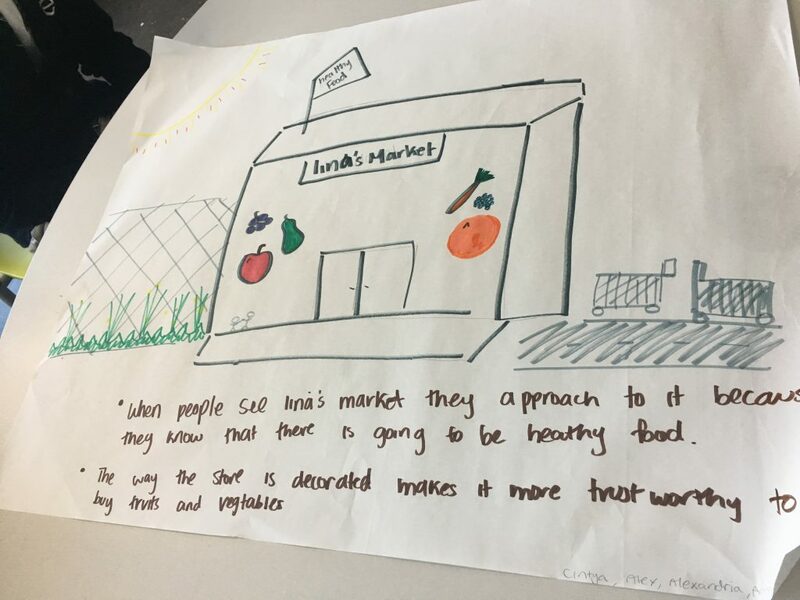 UCSD CCH Student Intern, Katia Lopes-Gilbert, is working on a qualitative analysis of the students’ designs to summarize their improvement recommendations into a brief report to be shared with our participating Live Well Community Market Program market owners/managers. 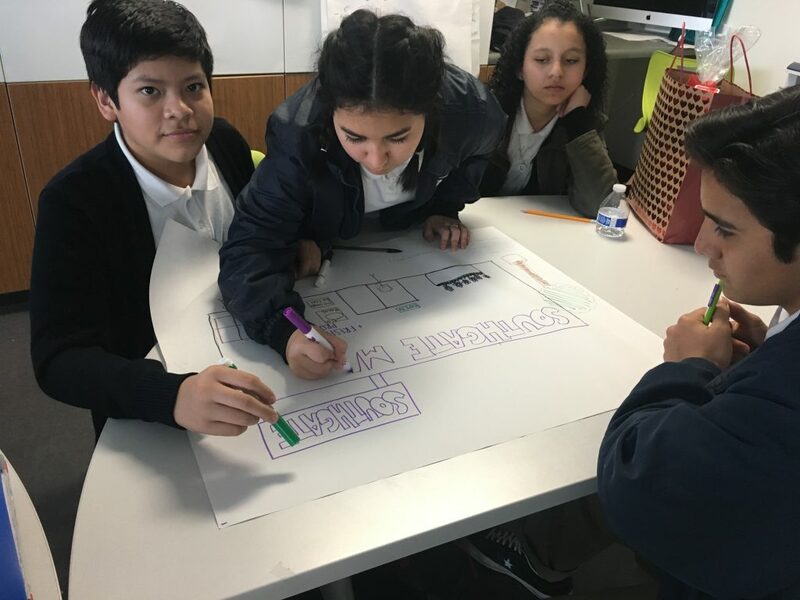 Next Article: Taste Testing and Free Bag Giveaway at La Tiendita Linda Vista!